Many people like to catch barramundi using bait. A popular bait is cherabin, or freshwater prawn. 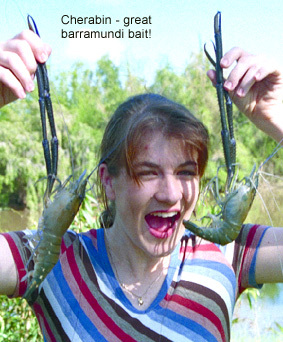 Freshwater prawns are one of the Top End’s special treats. The prawns, locally called cherabin, grow as big as saltwater prawns, taste as good, and can be easily caught. Cherabin live in most freshwater habitats. They can be caught in baited traps, with a spear, or with a cast net, but are easiest to catch at night, when they are most active. In shallow sandy areas such as the far upper Daly River or Katherine Rivers, a fish carcass can be staked to the bottom, and a cast-net thrown over the carcass every half-hour to collect cherabin – but watch out for crocodiles that may be attracted to the bait. Cherabin eyes shine red in torchlight, just like a barra. Cherabin are the number one barra bait, if you manage to not eat them. Another inland crustacean is the redclaw, which looks like a southern yabby, or freshwater crayfish. These are caught using similar methods to catching cherabin. They are also great eating. 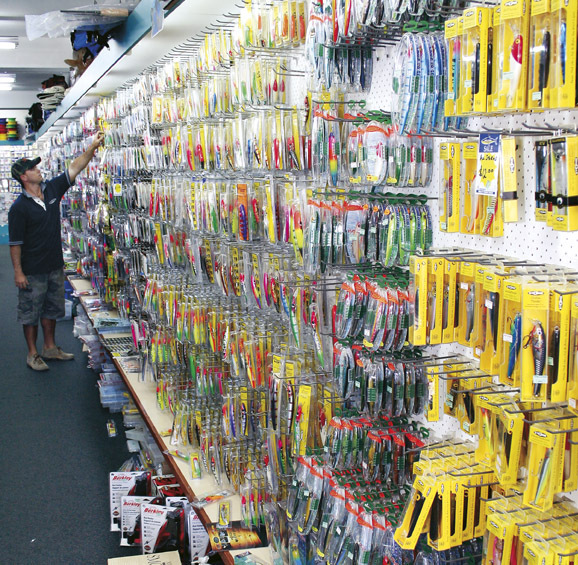 Mullet are also top livebait for barramundi. They can be caught in a cast net. 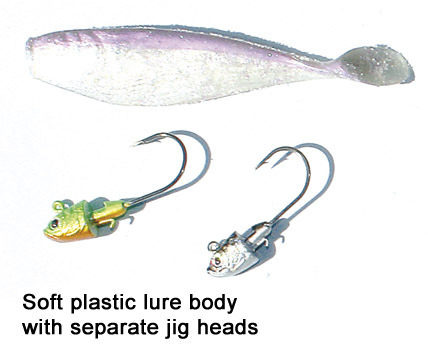 Herring, garfish and sardines are also good baits. 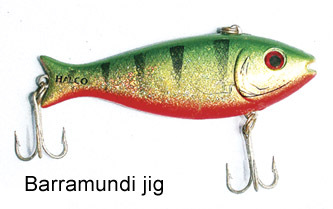 Barramundi only occasionally take dead baits.